The sins of Umno, the sin of Najib Razak. I haven't written anything about the revered Tok Guru Nik Aziz, whose death on Feb 12 was mourned by Malaysia. It was my way of paying respect to the man who had contributed a great deal to Malaysian politics, Islam the religion, and the state and people of Kelantan, in particular. 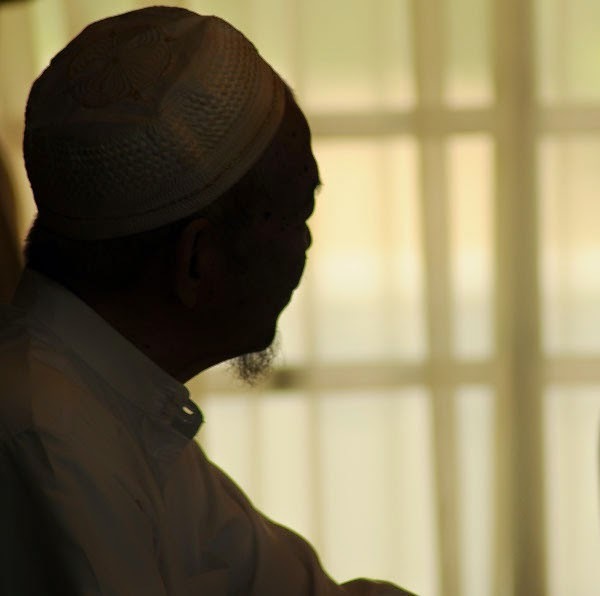 I had the privilege of interviewing the PAS "spiritual leader" but only once, with my colleague Nuraina Abdul Samad, back in October 2008. This was after his party had led Pakatan Rakyat in March that year to as close to a general election victory the Opposition coalition had ever gotten and, probably, will ever get. The interview was for the first issue of the now-defunct Qiadah, an ambitious 100-page magazine published by the Perbadanan Menteri Besar Kelantan. You may get the gist of the interview in An Interview with the Spiritual Leader: The ISA [and other sins of the current Federal Government will go ... (Bru, 13 Oct 2008). Just two years later, on the eve of Malaysia Day in Sept 2011, Najib Razak, who became Prime Minister of Malaysia in April 2009, announced the abolition of the ISA or Internal Security Act. I doubt that the Spiritual Leader had seen this coming. But today the abolition of the ISA, that one act that Nik Aziz had dreamed of accomplishing, is regarded by many Malaysians as one of Najib Razak's biggest sins! What irony. And not even Nik Aziz's PAS would come to Najib's defence! Even within his own Administration, you can count the number of leaders who dare defend the abolition of ISA. Read POTA is not ISA, says Zahid by Just Read, 4 March 2015. Kalau tak abolish ISA dulu, sekarang Najib dan kabinet beliau tak perlu kecoh-kecoh, berkerat rotan pasal SOSMA, POTA apakejadah. Banggang betul. Sendiri gali lobang, terjun dalam, kasi peluang lawan untuk kambus saja. The late PAS leader was largely playing his Islamist cards waiting for the Ikhwanul Muslimin worldwide to explode into terrestrial power. Of course, we've seen the great huff and puff of grandiose claims to religious righteousness turn out to be self-serving elitist politicians who have been in cahoots with Zionists and Communists when it fits their bill to sing along with them on the road to Putrajaya.